The latest Mercedes Benz S Class LWB is now available through South Coast Chauffeurs. Relax on board the most prestigious chauffeur driven car. Perfect for #virgin Upper Class Wing at #heathrow airport. #Business or #leisure traveller? We will make it an easy, pleasant and stressless experience. I have been travelling as a passenger with Alex, owner of South Coast Chauffeurs, for a while. Although South Coast Chauffeurs are not the cheapest company locally, they offer a superior product. They are a smaller company and therefore Alex is careful to maintain high standards with his vehicles and drivers. He also has a carefully chosen network of other chauffeur companies, if he is unable to take a job. The cars that South Coast Chauffeurs use are all premium models such as Mercedes E class and S class LWB. If he can, he will upgrade you to a higher category car for the same price. Our executive travel service is competitively priced, based on the levels of service and vehicle class that we provide clients with. Surprisingly, our costs are not as expensive as you may think, however, we're not competing on being the cheapest, but being the best and offering our clients value for money through our experience, reliability and confidentiality. After all, you or your principal's life is in the driver's hands; surely you want reassurance that you will be in a safe, well maintained chauffeur driven vehicle and your chauffeur has had adequate rest before your journey. Because we value your life, our lives and other road users lives, we can't be the cheapest. Our executive chauffeur services are available throughout parts of Hampshire and Dorset, mainly Southampton, Winchester, Romsey, Fareham and all surrounding areas. We are not a taxi/standard private hire service. We operate a minimum charge of £100 per booking. "Fantastic service! We use Alex for all our business travel. He is very professional and provides a great service. Always on time and never fails to deliver, even when faced with the strangest transfer requests. "- Carol P.
"This is the first time we have used this service and it will not be the last. Alex the owner and our driver was the ultimate professional he was immaculately dressed very polite and a superb driver. 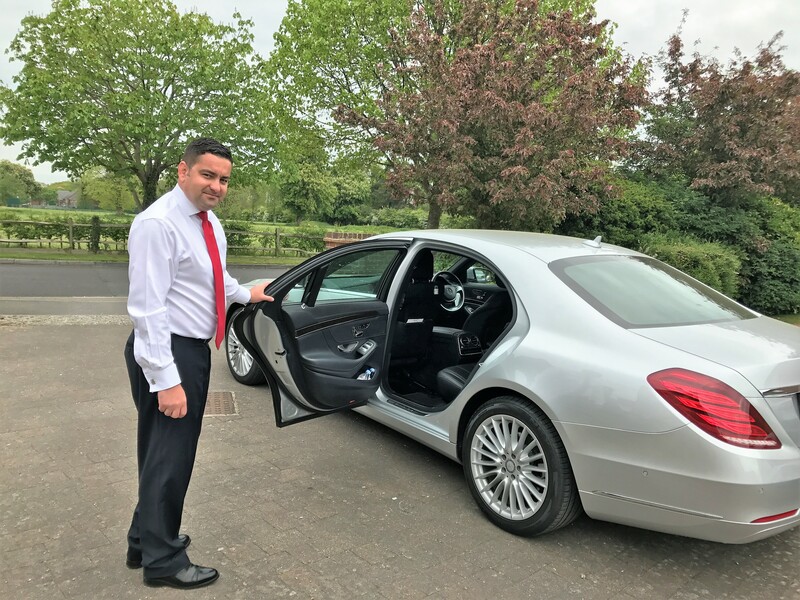 The car was a Mercedes S Class which was immaculate inside and out and very comfortable, if you need to use a quality car service do not bother looking anywhere else this is the best by far. "- Mike E.
"Amazing service and top quality drivers. The best driving service we have experienced. "- Jared B. ​"Currently sitting sipping G&T on way to Heathrow. Perfect service and worth paying that tiny bit extra to really start the holiday in style. "-Craig C.
"Not the cheapest, but if you want to travel and arrive in style, this is your company. We have used this company's chauffeur services on two occasions. The Chauffeur was excellent and the vehicle was excellent. "- Dr. Raymond E.
"Always great service from Alex who is on time, every time. Car is incredibly comfortable and quiet. I always feel safe with Alex at the wheel and would not hesitate to recommend. "- Vicky M.
"Alex offers an outstanding service to his customers. Top quality cars and drivers and 100% reliable. I never use anyone else for my business and personal travel needs and wouldn't hesitate to recommend them. "- Steve R.
​"Amazing service - very professional. Thoroughly recommend. ⭐️⭐️⭐️⭐️⭐️"- Tessa A. ©2018 South Coast Chauffeurs Ltd.
TMR Executive Cars and South Coast Chauffeurs are trading names of South Coast Chauffeurs Ltd. Private Hire Operator licensed by Winchester City Council, license number 194.